A flashback to the iconic pop cultural moments of the decade-this is history at its most irreverent and engaging. 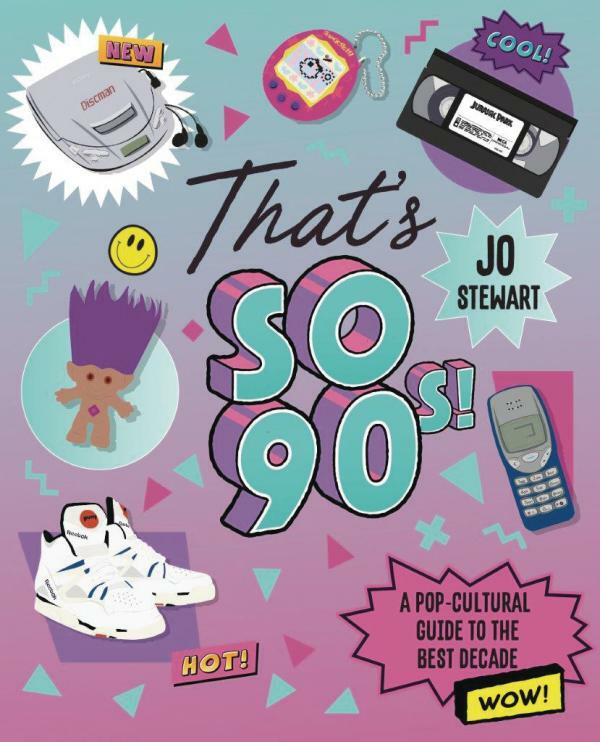 Any '90s kid will find themselves reminiscing over Nickelodeon classics, the Spice Girls, Furbies, Robin Williams in Flubber, Pokémon cards, Titanic's haunting tin whistle soundtrack, Jelly shoes, and Leonardo DiCaprio's floppiest hairdo on record. Without Friends or Seinfeld, would our world still turn? If Nirvana hadn't made it big could grunge have ever reached the masses? For the staying power of '90s pop culture, we have the Internet to thank. it's little surprise that meme culture is heavily steeped in references of the '90s. It's precisely these pop fanatics who will totally delight in this hella-illustrated throwback.